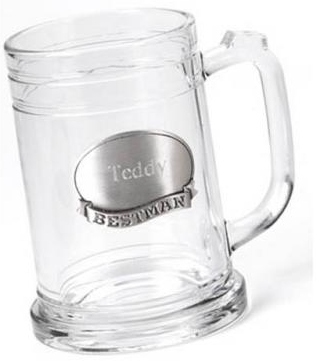 JDS Personalized Mug with Pewter Emblem: 16 oz. * Give a keepsake mug to honor your best buddies. 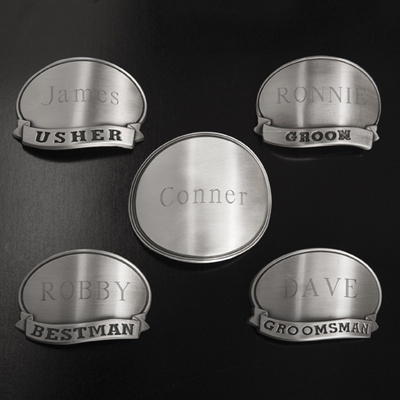 * Choose from our five medallion options and personalize it with his name. * Each glass mug with pewter medallion holds 16 fluid ounces.